4k00:10Close-up of two appetizing burgers with sesame buns rotating on black background, of fast food seamless looping shot . 4k00:06Two craft beef burgers on wooden table isolated on dark grayscale background. 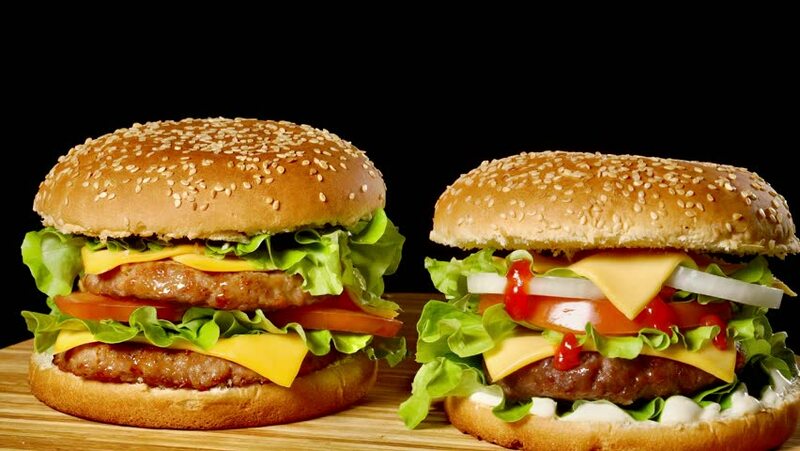 4k00:07Close-up of two appetizing burgers with sesame buns rotating on black background, of fast food seamless looping shot .